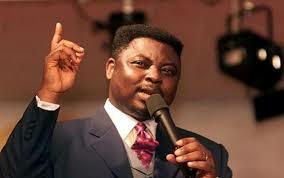 Matthew Ashimolowo, senior pastor of Kingsway International Christian Centre (KICC), says the former trustees of his church, not him, made the decision to invest $5 million dollars, which was lost to a ponzi scheme. Ashimolowo said this in a statement signed on his behalf by Dipo Oluyomi, chief executive officer and James McGlashan, chief operating officer for KICC. The statement said the investment was made seven and a half years ago. KICC admitted that the trustees of the KICC made the decision to invest in the scheme, but however, said Ashimolowo had nothing to do with it. “The attention of Pastor Matthew Ashimolowo and KICC has been drawn to publication in the media with the headline: ‘Pastor Matthew Ashimolowo loses $5million to Ponzi Scheme’,” the statement read. “As you are aware from the Charities Commission’s report, the decision to invest was solely that of the U.K trustees without any involvement of Pastor Matthew Ashimolowo. “Importantly as the report states, it is the trustees who have the responsibility for investing Charity Funds and NOT PASTOR MATTHEW ASHIMOLOWO.